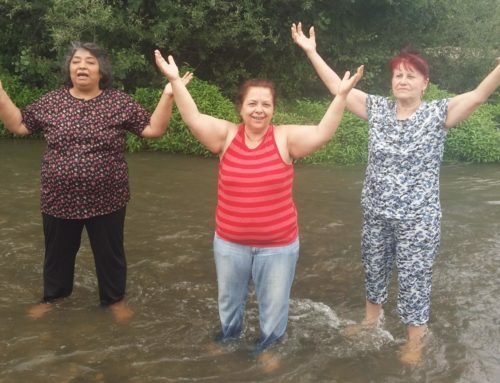 Residents of the small city of Sevlievo, situated 175 miles east of the capital Sofia in Bulgaria received an unexpected surprise last April. 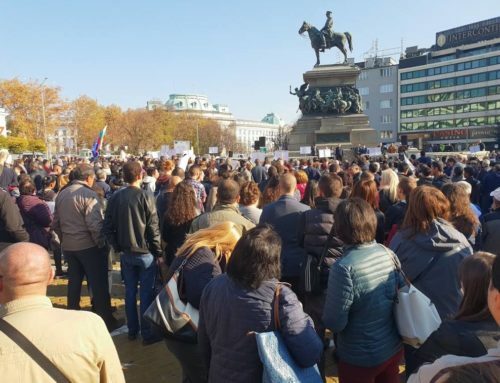 Church leaders Plamen and Kremi Borisov together with around 20 members of Shalom Church took to the streets with banners and placards announcing the resurrection of Jesus and sharing their Easter celebrations. Taking the church out into the street had never been attempted before and it took some courage. Usually, people would be invited to attend the church meetings, so this was something new in Sevlievo. The main focus of the church outreach campaign was to share the Good News and the church hoped to attract attention by giving away 1,000 small cakes at the town market. Along with each cake was offered a small brochure about the gospel. Several of the women also handed out flowers with a small card with the verse John 3:16 hand written by children in the church. The children of passers-by also received special pamphlets. The reaction of the local people was one of surprise and disbelief; that someone would give them a cake and card for free. People were intrigued by the display of genuine kindness and generosity and readily stopped to chat with church members. This provided the perfect opportunity for the believers to share about their personal faith in God and to speak about Christ’s resurrection. It was very exciting for the members of Shalom Church and also the people of the city. Everyone who took part enjoyed the experience and the event received further publicity in the local newspaper with a good report and some photos. Find out more about TEN’s work in Bulgaria.